This article aims to clarify the role of the Islamic State’s (a.k.a. ISIS) online activities on radicalization. To that effect, all empirical endeavors on the underpinning phenomenon in Vox-Pol’s library were systematically reviewed and assessed. 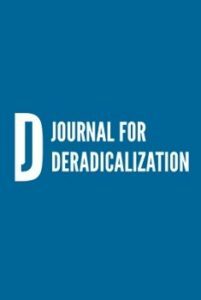 This exhaustive review suggests that Radicalization Leading to Violence (RLV) offers a nuanced conceptualization of the complex, emergent, and non-linear and dynamic phenomenon. Findings of the included studies were recorded, visualized, and clustered, allowing the discussion of possible scenarios, and thus, the inference of a utilitarian model of RLV dynamics based on the conceptual map of the literature. On the basis of connectivity and affordance opportunities (online and offline [beyond the digital realm]), Total Islam (i.e., a totalizing identity marker rather than an indicator of religiosity) is posited to be a critical element of the inferred model. ISIS is argued to use both affordance opportunities in a way that capitalizes on the manifestations of Total Islam to mobilize those embracing this form identity across different RLV trajectories. To that end, the paper is concluded by discussing its implications, limitations, and recommendations for future research.